An Axolotl, also known as Mexican Walking Fish can make a fantastic interactive pet because they can become tame and eat from your hand. They are an easy to look after animal, a lot easier than fish as they are not as susceptible to varying water conditions. Saying that, there is still some maintenance required such as a 1/3 water change every few weeks. 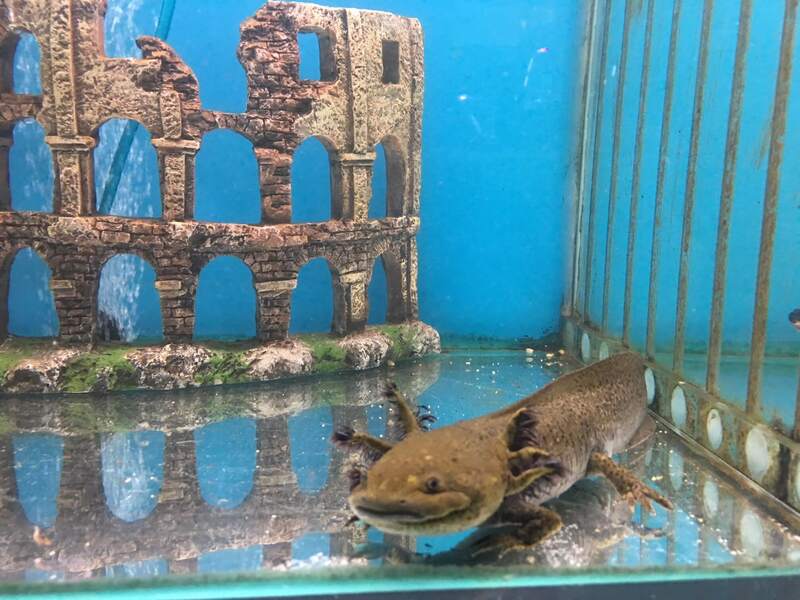 Check out our axolotl videos below. Check out our recommendation in the video below for a suitable Axolotl Enclosure. This package is available from our store in Hoppers Crossing for $129. At Waterlife Aquarium Axolotls are readily available and are normally available in colours, yellow, brown, black and olive. Firstly we recommend that chlorine neutraliser is used to remove the chlorine from your tap water. Chlorine can be harmful to Axolotls as it breaks down their protective slime coating. Secondly we recommend adding some blue conditioning salts which adds minerals to the water ensuring the health of your Axolotl. It is not recommended to have stones/ pebbles on the bottom of your axolotl aquarium as these can be swallowed while they eat. At Waterlife Aquarium we have a range of fish food such as pellet diets and frozen diets perfectly suited to keep your new pet axolotl in perfect health. Axolotls tend to be very docile if left alone, however they can be aggressive towards each other if they are not fed enough or kept in an overcrowded aquarium. Other species in the tank, such as fish, small crustaceans and baby axolotls could all be ‘dinner’ for the larger axolotl if they get too close so make sure if you add any other species have plenty of décor and hiding areas. In regards to compatibility, Axolotls may bite or attack any other animals within reach. Beware as some more aggressive fish may also nip at the axolotl’s gills, so it is recommended that if you want to keep other species together with your Axolotl invest in a larger 3 foot or 4 foot aquarium. 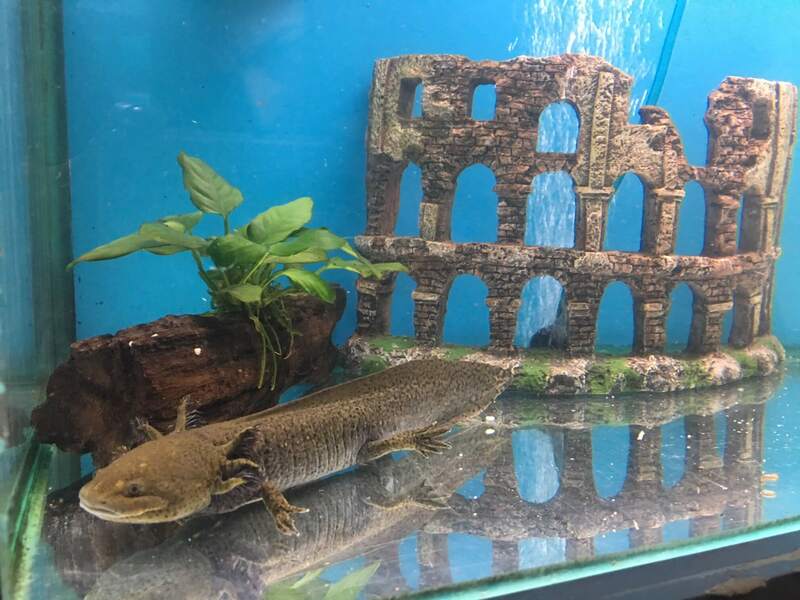 If you live in Melbourne and you are interested in a Pet Axolotl with enclosure, please CLICK the ‘Enquiry Button’ or call us NOW.